His parents, Jean-Claude and Claudine, founded the family winery in 1961 with an innovative and entrepreneurial spirit in one of the most traditional winegrowing regions in the world. Today, the family collection includes wineries that share more than 18 centuries of combined winemaking heritage and tradition in some of the world’s most prestigious terroirs, from Burgundy to the South of France to California’s Napa Valley and Russian River Valley. Jean-Charles leads the family firm with passionate commitment to fine wine, history, quality, and a deep respect for the environment. He implemented organic and Biodynamic farming at the family’s estate vineyards from Burgundy to the Napa Valley. Together with his sister Nathalie, he created Domaine de la Vougeraie, uniting the family’s Burgundy vineyards, including prestigious monopoles such as the Vougeot 1er Cru Clos Blanc de Vougeot – planted in 1110 by the Cistercian monks, into one of Burgundy’s leading domaines. He instituted the concept of “viniculture”, redefining the company’s traditional role to encompass a close and active interest in all aspects of winegrowing to ensure premium quality and sustainable farming practices. 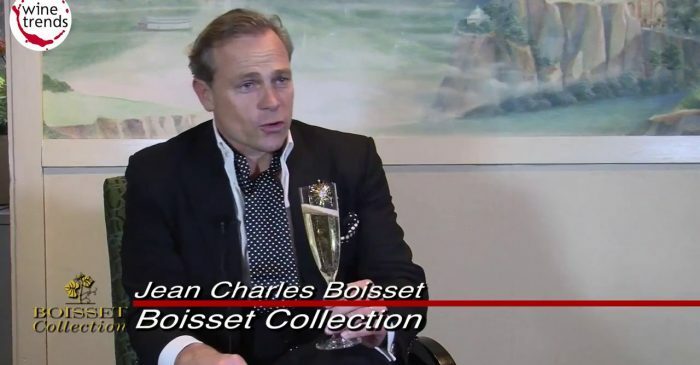 He refashioned and elevated the family’s founding winery bearing his father’s name – Jean-Claude Boisset – into a premier boutique vigneron in the Côtes de Nuits. In 2003 Jean-Charles brought DeLoach Vineyards, a pioneering producer of Pinot Noir, Chardonnay, and Zinfandel in Sonoma’s Russian River Valley, into the family collection. He immediately recognized the similarities to Burgundy: each boasts a confluence of river and mountains and soil that is perfect for growing world-class Pinot Noir. He began a mission, inspired by his Burgundian heritage to produce terroir-driven wines with the same commitment to terroir and organic and Biodynamic farming he had instituted in Burgundy. In 2009 Jean-Charles’ quest for California wineries steeped in history, heritage, and a pioneering spirit, led him to Raymond Vineyards in the Napa Valley, where five generations of family winemaking anchors it to the earliest days of the Napa Valley. Under his vision, Raymond has become a leading producer of luxury fine wines, implemented organic and Biodynamic farming on its 100-acre Rutherford estate, and has become one of the most dynamic winery destinations in California. In 2011, Jean-Charles’s dream of championing California wine history became a reality when Buena Vista Winery, California’s first premium winery, became a part of Boisset Family Estates. From this great foundation of historical, pioneering wineries in France and California, Jean-Charles sets forth a vision of the wine world centered on family, history, heritage, innovation, passion, a commitment to fine wines, and a dedication to sustainable winegrowing. 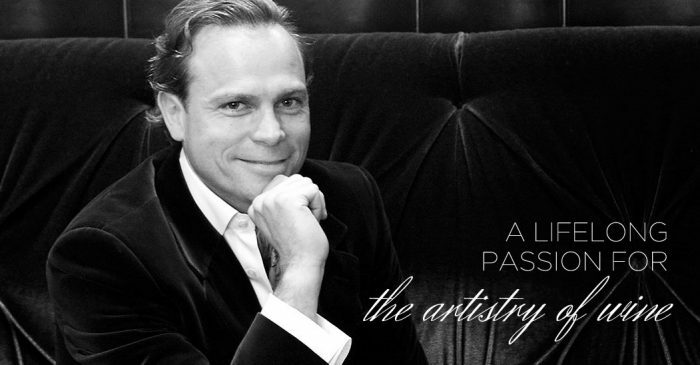 The French-American Foundation will honor Jean-Charles Boisset, President of Boisset Family Estates, as the inaugural recipient of the French-American Partnership of Excellence Award. The French-American Partnership of Excellence Award is bestowed upon an extraordinary individual or organization that has contributed to creating a strong and enduring French-American partnership in business, government, or academia. 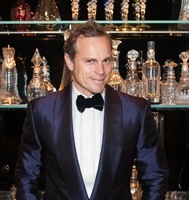 Mr. Boisset, we are privileged to honor you with the inaugural French-American Partnership of Excellence Award at the Annual Gala Dinner on June 6. 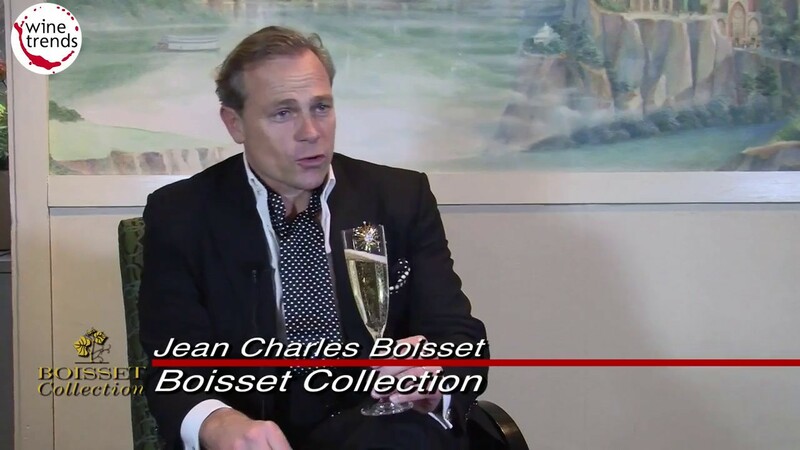 Conferred to an individual or organization who has launched and developed a prominent French-American partnership, Boisset Family Estates exemplifies the spirit of this award. You have instilled your Burgundian wine-making heritage into California’s Napa Valley and Russian River Valley. You have acquired, cultivated, and championed the success of multiple Californian wineries, including DeLoach Vineyards, Raymond Vineyards, and Buena Vista Winery, among others. What inspired your passion and desire to bridge the French and Californian wine-making worlds? My parents and grandparents instilled in me from an early age a deep appreciation of American culture. My grandparents were “résistants” in World War II against the occupation of France. In 1939, Germany had just invaded Poland, and France was rallying its troops to come to the aid of their ally. While this world of chaos was unraveling, my grandparents had fallen in love. They married the day before he set out to serve his country, and although the wait was long and painful, she knew he would return safe one day. They recalled to me often the story – the day he returned accompanied by American soldiers, restoring the liberty of the French people. I recall, as young as the age of six, my grandparents imploring me to set off for America, and I replied, “But I am just six!” Their passion was, however, forever instilled in my spirit. Their appreciation and connection to the “new world” was cemented in my young imagination. In 1981, when I, age 11, and my sister, 14, had the opportunity to accompany them on a journey to California, we found ourselves discovering the spirit of the Gold Rush State in Monterey, San Francisco, and Sonoma. When on the Square in Sonoma, the birthplace of the California Republic, they noticed an historical landmark – a winery founded in 1857 named Buena Vista. I’ll remember forever discovering the oldest stones of the California wine world – a grand winery estate – the first gravity flow winery, the first caves, and the foundation of modern viniculture in California. My grandparents allowed us tastes of those incredible Chardonnays in the hotel room we shared on the Sonoma Square, and I was transfixed – such pure, elegant, and tropical notes that we did not know in Burgundy! I recall the moment I declared to my sister, “Wouldn’t it be fun one day to make wine in California?” That dream was realized in 2003 with DeLoach in the Russian River Valley, in 2009 with Raymond in the Napa Valley, and in 2011 when we finally brought Buena Vista Winery, California’s first and most historic estate, into our family collection of wineries! We are now the stewards of an incredible winemaking heritage in California, from the pioneering efforts of DeLoach in the Russian River Valley, to the Raymond family legacy in Napa Valley, and, finally, to the most historic winery in California, Buena Vista – a long-held dream, now come true. Our vision today is to hope that our spirit of collaboration and commitment to wine will transcend any divisions; that the union of two worlds will deepen our shared appreciation of their distinctness, diversity, and unity that enrich and enliven our worlds; and that the world will vibrate with a passion and appreciation for the elixir of god and wine’s expression of our land and our place. We hope that Americans will be ever more aware of and appreciative of their grand history and the fundamental union of the two great cultures of the wine world. We are inspired to think that we’ll leave our communities stronger, more vibrant, and more united; and our land healthier and more in tune with the rhythms of nature. That together, we can unite two continents and two cultures around wine. That we can carry out our vision that, while oceans may separate us, wine unites us! From a winemaker’s perspective, how and why are French-American partnerships important to you? What are the synergies between your vineyards in France and the United States and the people who enjoy your wines on both sides of the Atlantic? Both France and America are rich with winemaking history, terroir, and commitment to fine winemaking. The union of the two cultures is a vital theme that ties us together. In France, we embrace and celebrate history and tradition and are passionate about our lifestyle and connection to the land. The spirit of California is one of discovery, innovation, and a pioneering spirit. The union of the two brings all of us together to celebrate history, terroir, innovation, and discovery. In terms of wine-making methods, traditions and industry expertise, how can France and the United States learn from each other? What explains their intertwined oenological pasts and present? We are committed to the long-term health and vitality of our terroir and practice organic and Biodynamic farming on all of our estate vineyards from Burgundy to Napa to Sonoma. We believe in producing terroir-driven wines and focus on crafting small-lot wines. In California, we embrace Burgundian winemaking techniques such as hand punch-downs (known as pigeage), French open-top wood fermenters, and an adherence to the philosophy of terroir – a uniquely French concept, embraced by California vintners, that recognizes the distinct and immutable qualities of specific sites to produce wines expressive of their singular place. Each of these practices, we feel, exemplify to our guests our passion and commitment to fine wine. I will remember forever the harvest of 2003. I, along with several of our best winemakers and viticulturalists from France, were in California to commit ourselves to researching and exploring the best sites in California – to find the most unique confluence of sun, soil, climate, and people. This was to make expressive Pinot Noir, which we discovered at DeLoach Vineyards in the Russian River Valley. We suddenly faced the warmest harvest on record in France – the famous heat wave of 2003. The grapes were ripening much earlier than we were accustomed to, and we sought counsel from our friends in America. Their intuitions and practices guided us through that harvest, and the resulting wines earned rare acclaim. That moment of collaboration cemented among our French team an idea I had long championed: embracing two worlds, two approaches, and two perspectives in the wine world could yield results that improved both of us. It forever confirmed to me the value of bringing our two worlds together into a united yet distinct world of wine. As a Frenchman embracing the American wine world and its own rich tradition and pioneering and innovative spirit, I feel that together we can learn from one another by corroborating our efforts and sharing experiences. This is how we intertwine our past and our present with our future.